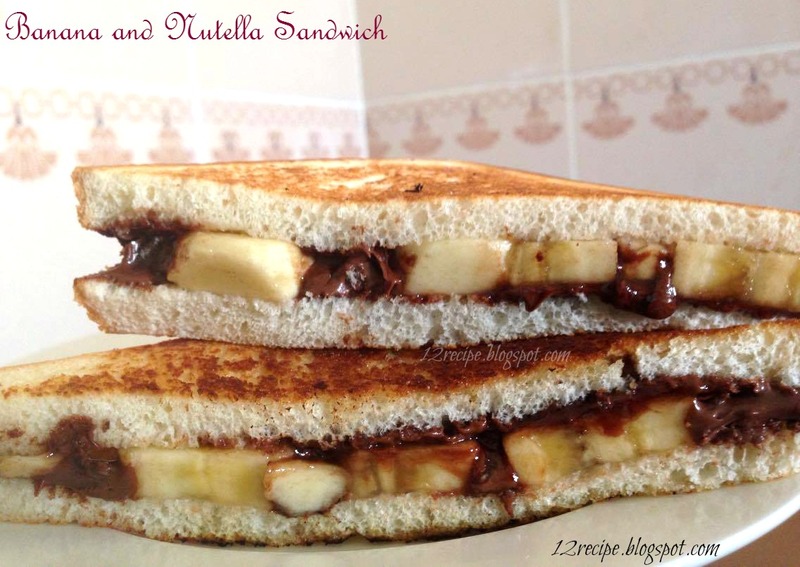 The toasted sandwich with Banana and Nutella filling is rich and delicious. Of course kids crave for bites of this absolutely yummy sandwich. Just fill the slice of breads with pieces of banana and nutella; toast it with butter and eat!! Cut the banana in to half inch thick rounds. 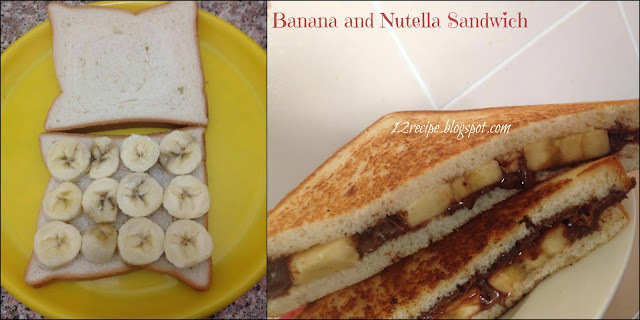 Arrange few of theses banana pieces on top of a bread slice as a layer. Spread nutella above it evenly; that fully coats the banana pieces. Cover it another slice of bread. Apply a tablespoon of butter on each sides of sandwich and toast it on hot tawa in low flame until nice golden in color. Make a diagonal cut for the sandwich using a sharp knife. Serve quickly and enjoy !! !